The closing date for entries is midnight (BST) May 1st 2018. The maximum word limit is 4,000, there is no minimum. Stories may be on any theme or subject and entry can be made online or by post. 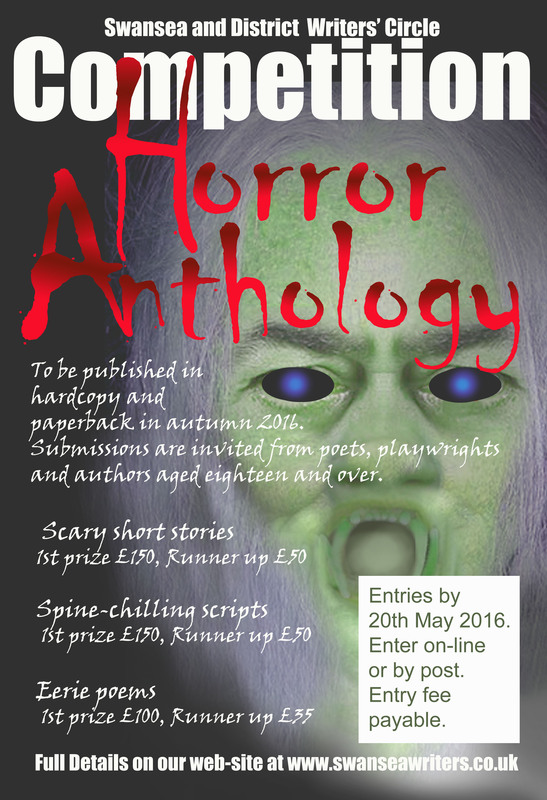 There is an £8.00 entry fee for all stories submitted and entries must be previously unpublished. Posted in News For Writers on December 5, 2017 by wrekinwriters. Prizes: £600, £300, £150, and the Ware Sonnet Prize (£150). Informal prizegiving at Ware Arts Centre, Friday 6 July 2018. Fee: £4; 4 poems for £12, then £3 per poem (in the same submission). Length: up to 50 lines. Posted in News For Writers on November 17, 2017 by wrekinwriters. This is an international competition to raise money for Coventry Refugee & Migrant Centre http://covrefugee.org/ and Clever Fox Press http://www.cleverfoxpress.com/clever-fox-press which is a charitable publishing venture which seeks to support and raise awareness of child refugees across the world. The competition also seeks to celebrate creativity and building bridges between communities. First prize is £300, publication on the Coventry Refugee & Migrant Centre website and on Wasafiri’s website http://www.wasafiri.org/ and second prize is £50 and again publication on these two websites. There are also three runners-up prizes. The competition will be judged by Bidisha and Joe Horgan and the deadline is 14th November 2017. Entry is £5 per poem or £10 for 3 poems and poems can be submitted on any theme or topic. The link to the website is www.writeabridge.com and is part of the Coventry Peace Festival. Posted in News For Writers on September 29, 2017 by wrekinwriters. Prizes, £250, £100 plus runner up prizes. Word count, up to 1,000. Entry fee, £6 entry, £4 optional critique. Closing date 30th November, 2017. Please see their website, www. vnlwritespace.com for full details. They also have a facebook page, Vanda ‘n’ Linda’s Write Space. Posted in News For Writers on September 21, 2017 by wrekinwriters. Posted in News For Writers on September 17, 2017 by wrekinwriters. Dinesh Allirajah (1967-2014) once said of himself (referencing a Sonny Criss sleeve note): ‘I am a jazz writer, which is a full-time creative job’. Dinesh had many other occupations, too – lecturing in creative writing at Liverpool John Moores University, the University of Central Lancashire and Edge Hill, running workshops and literacy classes in community centres, schools and prisons, acting as Chair of the National Black Arts Alliance and the National Association for Literature Development, as well as being a long-term director of Comma Press. He was also a DJ, playwright, radio presenter, cricket enthusiast and blogger. Dinesh regularly performed to audiences across the UK, as well as in France, Poland, Germany, Bangladesh and Nigeria. His short stories were featured in numerous anthologies and magazines, and first collected in A Manner of Speaking (Spike Books, 2004). Scent is the first comprehensive collection of his work, published by Comma Press following his sudden passing in December 2014. Posted in News For Writers on September 14, 2017 by wrekinwriters. Write us a short story on the subject of your choice. * The competition is open to all writers. * Entries must be no longer than 2000 words. The Robert Graves Prize is launched this year as an exciting new collaboration between the Roehampton Poetry Centre and Wimbledon BookFest.It is named for one of the major figures of twentieth century poetry and encourages entries from all around the world. The Prize will be given for the best single poem submitted: multiple entries are encouraged but will be judged separately. Prizes: £200 for the winning entry and £100 for two runners up. All three winning entries will be published in POEM magazine. To qualify, entries must be original, written in English and unpublished at the time of submission. Each poem must be no longer than 40 lines and should be single-spaced. Posted in News For Writers on July 2, 2017 by wrekinwriters. Amnesty International Ely City Group is running its fourth short story competition in memory of one of its founder members, Gareth Davies-Jones. The competition is for original, unpublished fictional stories written in English and a maximum of 1,500 words. They must be on the theme of “Courage” and can be set in any country or time. Posted in News For Writers on June 26, 2017 by wrekinwriters. The Royal Society of Literature’s V.S. Pritchett Memorial Prize for previously unpublished short stories is currently accepting entries. There is a prize of £1,000, and the winning entry will be published in Prospect Magazine online and in the RSL Review. In addition to this, there will be an opportunity for the winner to appear at an RSL event with established short story writer in autumn 2017. Entrants must be resident in the UK and stories should be 2,000 and 4,000 words in length. Submission fee is £5 per story. More information and entry details can be found here. The closing date for entries is 14 June 2017. Posted in News For Writers on May 18, 2017 by wrekinwriters. Posted in News For Writers on May 8, 2017 by wrekinwriters. You will also find hints and tips from their adjudicator currently on the home page at norwichwriters.wordpress.com. Closing date for entries is 31st July 2017. Posted in News For Writers on April 27, 2017 by wrekinwriters. Hachette UK is officially launching its new creative writing resource, The Future Bookshelf – http://thefuturebookshelf.co.uk/ . It is a creative writing hub for aspiring writers which aims to demystify publishing and guide users of the website through the process of writing, editing, submitting and publishing. The Future Bookshelf will also be hosting an Open Submissions period in December 2017. This will be for unpublished, unagented writers of novels and non-fiction, who feel that the industry doesn’t adequately represent people from their background or with their experiences. It is to run from Friday 1st to Friday 8th December 2017. Posted in News For Writers on March 24, 2017 by wrekinwriters. For its 20th year, Birmingham Literature Festival welcomes Jess Phillips MP, bestselling novelist Lionel Shriver, poet Inua Ellams, as well as pop-up events and workshops across the city from Friday 21 April – Sunday 23 April 2017. The full programme can be downloaded here BLF Spring Festival Programme e vesrion for the first ever Spring Edition, to complement the annual October festival- great speakers and workshops plus more events for children, and fun activities including canoeing and cycling! Milestones International Poetry Competition in association with Write Out Loud. Posted in News For Writers on March 17, 2017 by wrekinwriters. Aurora Metro, the Twickenham-based arts organisation, is once again searching for the best new fiction by a woman writing in English. The winner will receive £1,000 and a conditional offer of publication by Aurora Metro Books. Posted in News For Writers on March 2, 2017 by wrekinwriters. In this workshop, run by writer Ruth Cameron, writers will explore the Welsh myth of* Ceridwen and the Cauldron of Transformation*. Ceridwen, a great sorceress, intends to give her son the gift of wisdom. However, Gwion Bach, the young boy who is set to stir the cauldron accidently spills three drops onto his thumb and licks it off thus acquiring the gift. In fear he runs from Ceridwen and they both go through a series of transformations a she hunts him down, which ultimately results in Gwion transforming into the legendry bard and prophet Taliesin. Posted in News For Writers on January 27, 2017 by wrekinwriters. Posted in News For Writers on January 23, 2017 by wrekinwriters. Oh Zoe! – is a new children’s book publisher looking for titles ahead of our launch in autumn this year. They’re running the Oh Zoe! Rising Talent Award to find new authors with unpublished work – there is a prize fund of £500 and a range of professional development courses. Entries are now open for The Tamworth and District Civic Society and Tamworth Writers Group Tamworth writing competition. With prizes totalling £310.00, which will hopefully aspire all budding writers who have not yet been published, to enter. Entries must be set in and around Tamworth, Staffordshire and a particular building or address. The closing date for all entries is Tuesday 31st January 2017. Winners to be announced in April 2017. For full entry details please click on the writing-competition PDF link. Posted in News For Writers on January 12, 2017 by wrekinwriters. Taking this Jane Austen quotation as the story title, writers are encouraged to respond in 2017 words or fewer. Open to writers aged 16 and over, across the world. First Prize £1000. Second Prize £500. Judges David Constantine and Claire Fuller. Closing date 28 February 2017. Hosted by Hampshire Cultural Trust in partnership with Jane Austen’s House Museum to mark Jane Austen 200. Posted in News For Writers on January 2, 2017 by wrekinwriters. Ware Poets is running its competition for the 19th year, and we are delighted that Hannah Lowe has agreed to judge the competition. Hannah Lowe’s first poetry collection, Chick, won the Michael Murphy Memorial Award for Best First Collection, and she has been named one of the 20 Next Generation poets, as of 2014. Her family memoir is Long Time, No See (Periscope, 2014). Chan, her second poetry collection, is published by Bloodaxe. She lives in London and teaches at Kingston University. The Ware Poets competition offers cash prizes for the winning poems, including one for the best sonnet, and we publish a competition anthology of prizewinning and shortlisted poems. Posted in News For Writers on December 15, 2016 by wrekinwriters. Tamworth Literary Festival, in conjunction with The Tamworth and District Civic Society and Tamworth Writers Group, have recently launched a brand new writing competition. Sponsored by Tame Valley Wetlands with total prizes just over £300, the competition is open to everyone. Pen a short story, maximum 1,500 words, and submit before midnight on January 31st 2017 to be in with a chance of winning. All entries are judged anonymously and winners are to be announced in April. A selection of the best entries will be included in an anthology, to be produced later that year and timed to coincide with a walk around the town where any of the entrants can join us to read their entry inside or outside the venue. Posted in News For Writers on December 6, 2016 by wrekinwriters. Shrewsbury’s inaugural Festival of Literature kicks off at the end of November and we have something for everyone. Festival Patron Jonathan Coe will be in conversation with Paul McVeigh on the opening night (Friday 25th November) and the weekend will finish with the wonderful John Agard (on Sunday 27th) performing his one-man verse play “Roll Over Atlantic”. Both these events will take place in the beautiful Blackburn Chapel and Theatre in Prestefelde School, London Road and the venue will also play host to best-selling author Louise Doughty on the Saturday night. Posted in News For Writers on November 16, 2016 by wrekinwriters. whether published or unpublished, UK or non-UK based, over 16 years of age. The closing date for entries is midnight (BST) May 3rd 2017. The maximum word limit is 4,000, there is no minimum. Posted in News For Writers on November 1, 2016 by wrekinwriters. Posted in News For Writers on October 17, 2016 by wrekinwriters. Does anyone know Jacqueline Zacharias? She was longlisted in our 2015 Doris Gooderson short story competition, which is why the editor of Dreamcatcher magazine has approached us. He’s trying to get hold of her. She’s sent him some stories and he’d like to use some in an upcoming issue, but he has no contact details for her! So, if anyone knows Jacqueline Zacharias, please ask her to get in touch with John Gilham, editor of Dreamcatcher magazine (www.dreamcatchermagazine.co.uk). It’s good news! Posted in News For Writers on October 13, 2016 by wrekinwriters. The deadline for the 2017 competition is 31st January 2017. The Judge is poet Catherine Smith and she will read all the submissions. Posted in News For Writers on September 11, 2016 by wrekinwriters. Posted in News For Writers on June 9, 2016 by wrekinwriters. The closing deadlines are 17th and 31st JULY and this year the entry fee is £8. We look forward to receiving your stories…..
Posted in News For Writers on May 9, 2016 by wrekinwriters. The 2016 Wigtown Poetry Competition has been launched. Greenacre Writers and Finchley Literary Festival are launching the 2016 festival with a short story competition. The winning entries will win cash prizes and will be published on the FLF blog and that of Greenacre Writers. The winners will be announced at the Finchley Literary Festival, 25th June 2016. Posted in News For Writers on April 8, 2016 by wrekinwriters. Posted in News For Writers, Image format on April 2, 2016 by wrekinwriters. The Leominster Festival has just launched its 2016 Writing competition, with two categories: prose and poem. Posted in News For Writers on February 19, 2016 by wrekinwriters. Cheltenham Writers’ Circle is launching its first open short story competition with cash prizes totalling £150 plus book tokens. The theme, chosen to commemorate the 400th anniversary of Shakespeare’s death, is ‘What You Will’ – in other words your creativity has no bounds. Maximum word count is 2,000. Posted in News For Writers on February 4, 2016 by wrekinwriters. The first ever Aurora Poetry and Short Fiction Competition now open for entries! Posted in News For Writers on January 13, 2016 by wrekinwriters. just in case any of your writing group members may be interested. 2016 Bristol Short Story Prize is open to all published and unpublished writers. with a maximum length of 4,000 words (There is no minimum). The entry fee is £8 per story. The closing date for entries is April 30th 2016. Story Prize Anthology Volume 9.
in Bristol in October 2016 when the winners will be announced and the anthology launched. and Juliet Pickering, literary agent at Blake Friedmann. Posted in News For Writers on January 7, 2016 by wrekinwriters. Ware Poets is running its competition for the 18th year, and are delighted that Philip Gross – poet, a playwright, librettist and writer for young people – has agreed to judge the competition. Philip leads the MPhil/PhD in Writing programme at the University of South Wales. He won the T S Eliot Prize 2009 with The Water Table, and Wales Book of The Year 2010 with I Spy Pinhole Eye. This year he published A Fold In The River with artist Valerie Coffin Price (Seren), and a new collection called Love Songs of Carbon (Bloodaxe). Posted in News For Writers on December 8, 2015 by wrekinwriters. Hello from Arvon. We are running a 3 day writing course in Wolverhampton in January with Liz Berry (Black Country) and Sathnam Sanghera (The Boy With The Topknot). I was wondering whether you would be interested in helping us spread the word about the course. You could mention this to your writing group and/or mention it on social media, an example tweet is written below. We are always delighted to reciprocate with anything you might like to pass on to our networks (we have a 16K mailing list on Twitter or Facebook). Whether you’re searching for inspiration, need a creative boost, or want help getting your ideas onto the page, you can look no further because Arvon is wrapping up its special ingredients and bringing them to the Arts and Crafts splendor of Bantock House in Wolverhampton for a long weekend of writing. Led by acclaimed writers, novelist and journalist Sathnam Sanghera and poet Liz Berry, this non-residential course will help you find your writing voice and make it sing. You’ll experience a powerful mix of workshops, one-to-one tutorials, the support of fellow writers and plenty time and space to write. For more information on the course click here. Course fee: £285 (lunch and dinner included). Info / booking: 020 7234 2554 or book online. Posted in News For Writers on December 2, 2015 by wrekinwriters. We decided to stop there! Posted in News For Writers on October 6, 2015 by wrekinwriters. Posted in News For Writers, Previous Doris Gooderson Competition Results & Winners on September 21, 2015 by wrekinwriters. The deadline for the 2016 competition is 31st January 2016. The Judge is poet Anne-Marie Fyfe and she will read all the submissions. Posted in News For Writers on September 8, 2015 by wrekinwriters. Posted in News For Writers on September 1, 2015 by wrekinwriters. The closing date for entries is 15th November 2015. Posted in News For Writers on August 23, 2015 by wrekinwriters. Chorley & District Writers’ Circle launch their annual short story competition with prizes totalling £180. The theme this year is a little bit different: ‘Chaos in Lancashire’. They are looking for a setting in or strong connection to any part of Lancashire. Entry fee: £5 for one story, £9 for two or £13 for three. Posted in News For Writers on July 28, 2015 by wrekinwriters. Monday the 22nd June saw the launch of the fifth biannual Ruth Rendell Short Story Competition, hosted by the award winning charity InterAct Stroke Support, and proudly sponsored by Oberon Books. Posted in News For Writers on July 5, 2015 by wrekinwriters. The National Literacy Trust has just launched their first Poetry Prize in partnership with Bloomsbury Publishing. They are asking people to write a poem of up to 16 lines, on the themes of reading and/or literature. Poems will be aimed at children/young people. Posted in News For Writers on June 12, 2015 by wrekinwriters. Posted in News For Writers on June 4, 2015 by wrekinwriters. The Theme of the competition is ‘Love and Loss’ and we welcome entries. The competition will be judged by our Royal Patron HRH Princess Michael of Kent. Entrants may see their work in print in a poetry anthology that will be published later this year. Posted in News For Writers on May 22, 2015 by wrekinwriters.